Nine years ago, I began a role play activity for aspiring principals called A Day in the Office (DITO). 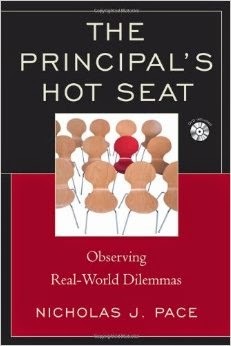 I placed aspiring principals in a black box theater with a mock office. One by one, volunteer actors come to see the principals. Most are somewhere between concerned and off-the-chart angry about something. As in the real world, the future principals have to listen, respond, empathize and we hope, deescalate. We don't just throw them to the wolves, though. Among other things, we spend time preparing them with a visit from a police officer who does deescalation training and a theater professor who specializes in professional presence.